The Xiaomi Mi6 is really an insider tip among high-end smartphones. It offers top-notch performance and a really great camera, which does not look like an S8 but still outshines many of its competitors. That also applies to the front camera. The design is really nice, even if it attracts fingerprints, but it is very stable and high quality built and should be able to withstand a lot.Currently, only the microphone is negative. It's great to talk on the phone and you can barely tell the difference to other devices, but when recording videos, it seems a bit tinny and ups and downs could definitely be better. That's a pity since the Xiaomi Mi5s actually had a good microphone. The Xiaomi Mi 6 is without a doubt a flagship class phone on a budget, but there’s still significant ground to cover before it can truly be an excellent device. Xiaomi mi6 is the best smartphone according to its features. This is the mini DSLR with perfect camera results and if you know how to use the proffesional camera then this is the best device for you. One thing which Xiaomi mi6 lacks is audio jack and we know all high-end devices are not coming with audio jacks now. So even though we’d comfortably call it a pretty good device, its drawbacks are still something well worth considering: the lack of a headphone jack, the heavily customized MIUI, and the subpar screen are all potential dealbreakers that shouldn’t be dismissed easily. It’s fast, well designed and has a lovely screen – but there are some issues that arise along the way. The lack of a headphone jack is annoying, but I have more long-term concerns about build quality and the lack of certain LTE bands. Simply put, the Mi 6 offers incredible value for its price. The phone has a stunning metal-and-glass design, along with build quality rivaling the best that Samsung and LG have to offer. It has powerful internals that outmatch flagships twice its price, and 6GB of RAM along with 128GB storage should be more than enough for most customers. The dual cameras add a new dimension, and the uptick in battery life is a welcome addition. Positive: Good hardware; nice display; fast fingerprint sensor; decent hardware. Negative: No memory card slot. Positive: High performance; nice design; good screen. Negative: No headphone jack. Positive: High performance; powerful hardware; excellent display; high autonomy. Negative: Slippery. Positive: Nice performance; decent cameras; high autonomy; good price. Positive: Nice design; decent hardware. Negative: Poor cameras. Positive: Nice design; solid workmanship; high performance; decent cameras; good price. Negative: No headphone jack. 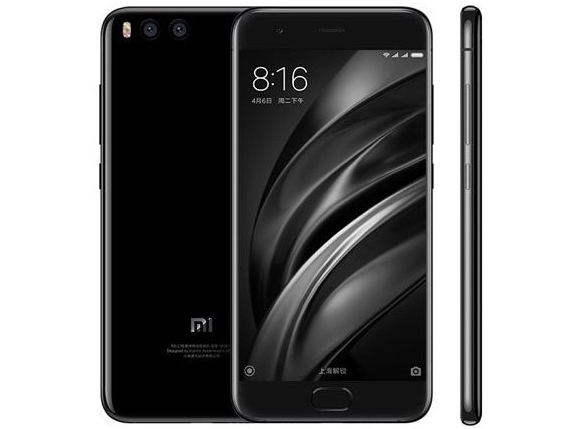 89% Recenzja Xiaomi Mi 6. Czy rzeczywiście #XiaomiLepsze? Positive: Good price; premium design; high performance; compact size; good cameras; quick charging; long battery life; NFC; fast fingerprint sensor. 80% Đánh giá chi tiết Xiaomi Mi 6: Giá khoảng 11 triệu chính hãng liệu có HOT? 80% Đánh giá chi tiết Xiaomi Mi 6: Giá khoảng 10 triệu chính hãng liệu có HOT? Positive: Decent hardware; good dual cameras; nice display; long battery life; quick charging. Positive: Powerful hardware; high performance; elegant design; nice dual cameras. Positive: Powerful hardware; nice dual cameras; high performance; good price. Xiaomi, a well known brand in the smartphone and gadget industry is primarily known for their high value budget smartphones. The Mi6 is no exception. Like its predecessors, it offers quite a lot for its price. For a start, it looks better than some flagships out there. The overall design is clean and simple. It features what Xiaomi calls as a 3D glass design. The edges are rounded on all the corners. It also features a glossy stainless steel frame. There is even a ceramic edition of the Mi 6 which looks even more stunning but is slightly heavier at 182 grams compared to the standard glass back edition which weighs 168 grams. It comes with the latest Qualcomm Snapdragon 835 processor which was first placed in the Samsung Galaxy S8 and S8 Plus. The processor is accompanied by a whooping 6GB of RAM for some serious multi tasking. The Mi6 can be purchased with either 64GB or 128GB of internal memory, further confirming its flagship status. Due to its splash resistance, Xiaomi has not been able to include a card slot for additional memory. Its 5.15 inch Full HD IPS screen is still behind those 2k screens on other flagships but is reasonable for its price. Unlike Samsung’s approach to a flagship, Xiaomi hasn’t made much effort to reduce the bezels in the Mi6. In fact, the fingerprint sensor is still mounted on the front facing home button. Like in all Xiaomis, the cameras are not that great. In the back, it features a dual 12MP camera with 4-axis OIS and phase detection autofocus. The cameras on the latest iPhones, Samsung S8 and Google Pixel will do better, which is quite evident in many comparisons done by various websites. On the bright side, it is capable of taking 4k videos. On the front is a 8MP camera capable of taking videos in full HD. The Mi6 is shipped with MIUI 8.0 which runs on Android 7.1.1. Other special noteworthy features are its Bluetooth 5.0 and USB type C connectivity. It has a 3350mAh battery and supports Qualcomm’s Quick Charge 4.0. The Xiaomi Mi6 is a decent flagship device, but there are quite a few issues which still puts it behind flagships from other well known brands like Samsung and Sony. The screen is sufficient, but it would be nice to see a 2k resolution AMOLED type instead of the usual IPS screen. The size is also quite odd. Flagships are usually around the 5.5 inch mark. Also, it would have been nice to see a bit of the Xiaomi MIX’s bezel-less DNA in the Mi6. The biggest problem lies in another lack, though. Like the iPhone 7, the Xiaomi Mi6 does not have a 3.5mm audio jack and relies solely on its type C port. The lack of a microSD slot and full water-resistance is also disappointing, as we’d usually expect this from an Android flagship. Sure, its price might be right, but the Mi6 still falls behind other flagships in terms of its screen and additional features. 83.59%: This rating should be considered to be average. This is because the proportion of notebooks which have a higher rating is approximately equal to the proportion which have a lower rating.